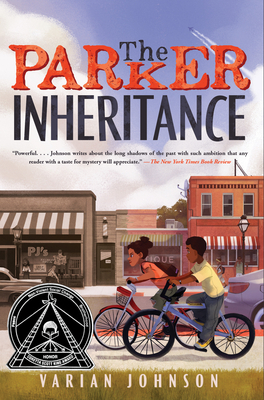 A Coretta Scott King Author Honor and Boston Globe / Horn Book Honor winner! When Candice finds a letter in an old attic in Lambert, South Carolina, she isn't sure she should read it. It's addressed to her grandmother, who left the town in shame. But the letter describes a young woman. An injustice that happened decades ago. A mystery enfolding its writer. And the fortune that awaits the person who solves the puzzle. Varian Johnson is the author of several novels for children and young adults, including The Great Greene Heist, which was an ALA Notable Children's Book, a Kirkus Reviews Best Book of 2014, and a Texas Library Association Lone Star List selection, and To Catch a Cheat, another Jackson Greene adventure and a Kids' Indie Next List pick. He lives with his family near Austin, Texas. You can find him on the web at www.varianjohnson.com and @varianjohnson. "You guys aren't prepared for this emotionally-true historical mystery that'll keep you guessing the whole way through." -- YAYOMG! Storytime: Kids Read to Kids!